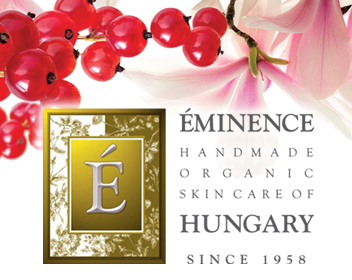 The Eminence Organic Skin Care line offers a truly exquisite experience with products that are so natural that you can see the fresh fruit pulps, seeds, and smell the real herbs. The philosophy is simple and natural, and it fits with the modern need of finding a natural skin care solution. One of our most powerful peel formulations. Results will include improved skin tone, texture, color and elasticity, without experiencing redness, irritation or swelling. Six of these taken in swift succession creates a whole new kind of "sugar rush." Super active energizing product for a healthy glow! Biocomplex: a booster of antioxidants, vitamins, Coenzyme Q10, and Alpha Lipoic Acid to reduce the appearance of wrinkles and improve the appearance of skin! Experience this one of a kind treatment using cactus pulps with powerful healing properties paired with a natural Gigawhite complex to reduce hyper pigmentation and dark spots while inhibiting future pigment from forming. Your skin will be hydrated and renewed with this naturally brightening treatment! It is paired with microdermabrasion for best results. Incorporates neck & decollate as well. A hyaluronic & natural retinol facial using a blueberry detox firming peel to gently exfoliate and increase circulation. A powerhouse antioxidant masque with hyaluronic acid plumps skin fibers & elasticity in the skin while a natural retinol alternative increases collagen. A positively stimulating facial that will leave your skin glowing, detoxified, and firm! Incorporates neck & decollate as well. Get ready to purify your skin like never before! This cocktail facial offers great exfoliation. The antibacterial and healing power of garlic clears pores and shrinks blemishes, while lycopene rich tomato gives age defying benefits. Highly recommended for those with oily or congested skin this treatment will keep your skin smooth and healthy preventing future breakouts and congestion. Dermaplane is a safe, non-invasive treatment which uses a special tool at a forty-five degree angle and stroked along the skin, while holding the skin taut to remove “peach fuzz”, as well as dead skin cells. Dermaplane is performed as a stand alone treatment or prior to other skincare treatments to enhance their effectiveness. This is a wonderful form of exfoliation that can be used with or without chemicals. Our lactic acid peel has a lot of skin benefits; the power to clear out toxins, dead cells, debris and boost collagen production. It also has amazing hydrating benefits and will leave your skin feeling soft and moisturized.